commercial wine (GB) Your browser does not support any audio element. Colloquial name (also discount wine, Supermarkwein, industrial wine) for mostly in very large quantities produced wines with often low prices. They are specifically produced by large producers exclusively for supermarkets and large retail chains or discounters with frequently own brand names for certain consumer groups and marketed under a special label of the houses. The term has no wine-legal meaning and is also not unique. It means by no means necessarily or in any case an inferior or bad wine quality. In the worse case, these are wines for quick enjoyment, whose causes for the inferior quality in unfavorable Ground- and climatic conditions, lower quality varieties, masses earnings from so-called mass media, as well as, above all, the deliberately simply chosen type of winemaking lie. Such may not be in bottles bottled, but in larger containers than bulk wine marketed. Simple bulk wines are often in Tetra pack (Europe) or Bag-in-Boxes (New World) bottled. The term house wine has a similar meaning in terms of quality. But it can be quite appealing wines, but usually without any special taste experience. Through appropriate methods such as beautiful or Spinning Cone Column as well as specially added overseas flavoringmedium They often have a same flavor regardless of by year of specific Influence. That's why they are also more pejorative than Coca-Cola wines designated. Especially from the big wineries in the US like for example Bronco Wine Company or Gallo They are produced in huge quantities using industrial techniques. Especially these work from an industrial point of view such as the use of machines (eg vintage ) and standardized processes (in winemaking). 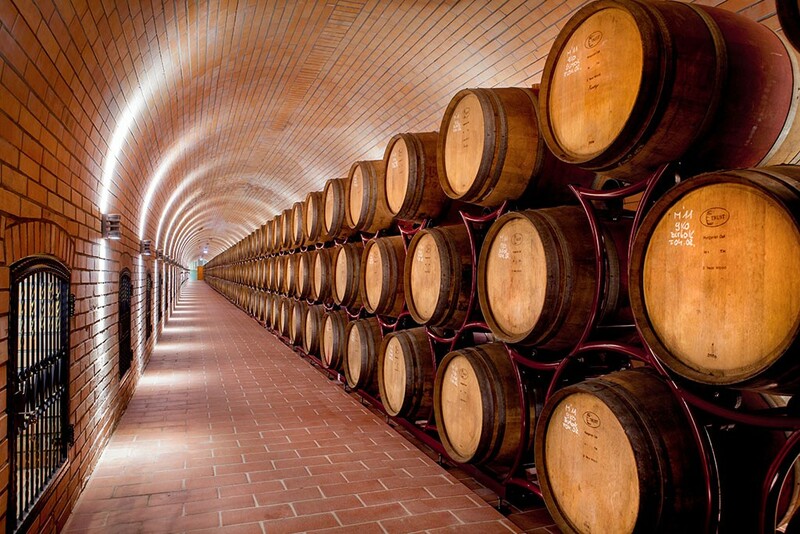 Also produced in larger quantities brand wine may optionally be referred to as bulk wine. Two European examples are Amselfelder (Kosovo) and Liebfraumilch (Germany). This page was last modified at 6 February 2019 at 13:38.